This tread is only intended for those who still have this car around or have it by second hands and are surrender or let go because of all the issues this car had. And Schumacher just put the car out of production. So support was long gone ago. Well what I did was find some solutions on the internet and other solutions made it by me, and put the fixes all together in one place. This is going to be informational only, because most us would not even try this anymore, but for those who like to try this and have any doubts just let me know. Or if you have better solutions, please don�t hesitate to put them on this tread. Please be patience until I'll update all the information bit by bit. 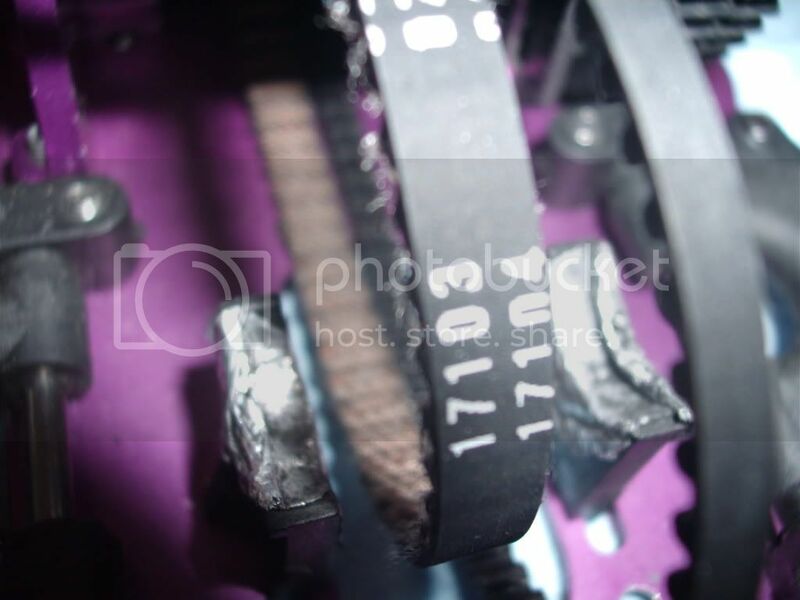 First issue: REAR BELT Shredding, braking, torn apart etc. Cause Theory: Main Belt tightness pulls back and twist the Rear Diff Pulley and puts the Rear Belt an uneven position that gets stressed until the layshaft alloy pulley do it's job to torn it apart. Possible solution: Put the MAIN BELT tension as loosest possible without jumping. 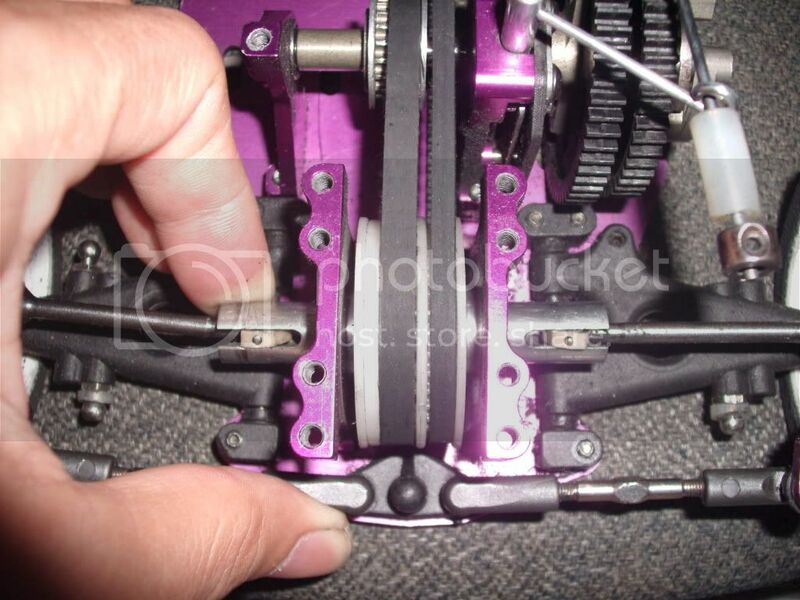 And make sure and check the Rear Diff that the Main Belt doesn't make more pressure than the Rear Belt. Both Belts most be equally even when you put the Rear Diff to the Diff Mounts. I'll explain it later with pictures. 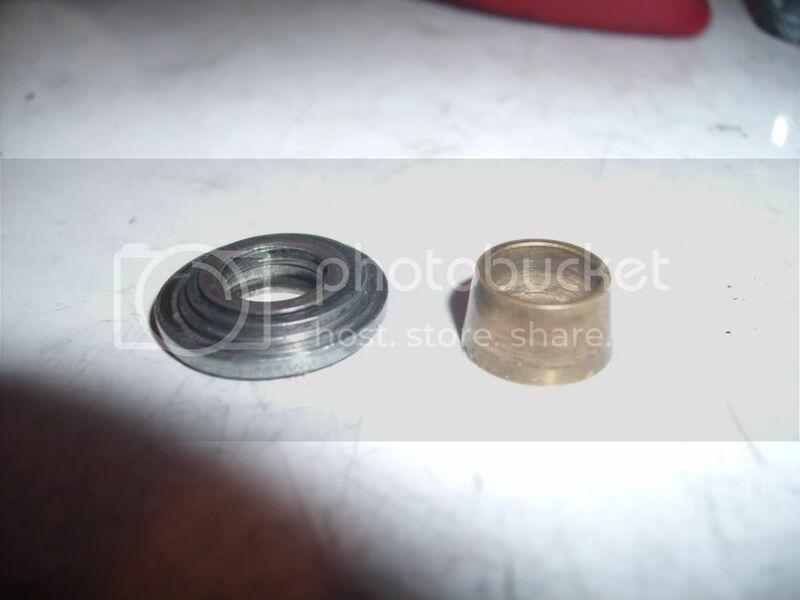 Money Solution: Rear CNC Diff Pulley U2745. Puts all the belts pressure out once and for all. Drive-train super loose. This test was made of 45 minutes race yesterday, had some other problems though. But non of them matters, my main focus was the Belts. And they didn't give any sing of ware, nor shredding nothing at all. They work flawlessly. And to mention. I was using an old layshaft with used wear pulley. And nothing happened. So.. Is not the stones, like it was once told before. I'm simulating the problem what really happens to the rear belt cause of the Main Belt. 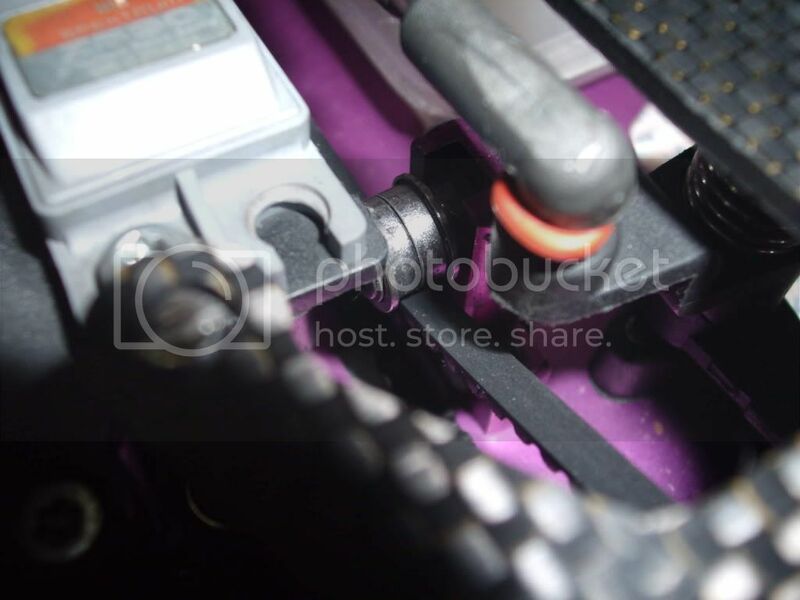 You'll hardly notice but as you see, the main belt pulls back a little bit the diff and points it the to left front angle direction, and there you see just a little bit, how's the rear belt get's twisted or tilted because of the main belt tightness. If this theory is true, that's the cause of the R12's REAR Belt nightmare, and then this is when your race is over. Just do it for your self and you're understand. Just make sure to not feel some resistance on the main belt when you install your diffs on the diff mounts. It needs to be loose. And this how's should look in a normal way. All in a strait line. Just compare the rear belt with the other picture. The layshaft pulley all wear out, that didn't affect the rear belt. 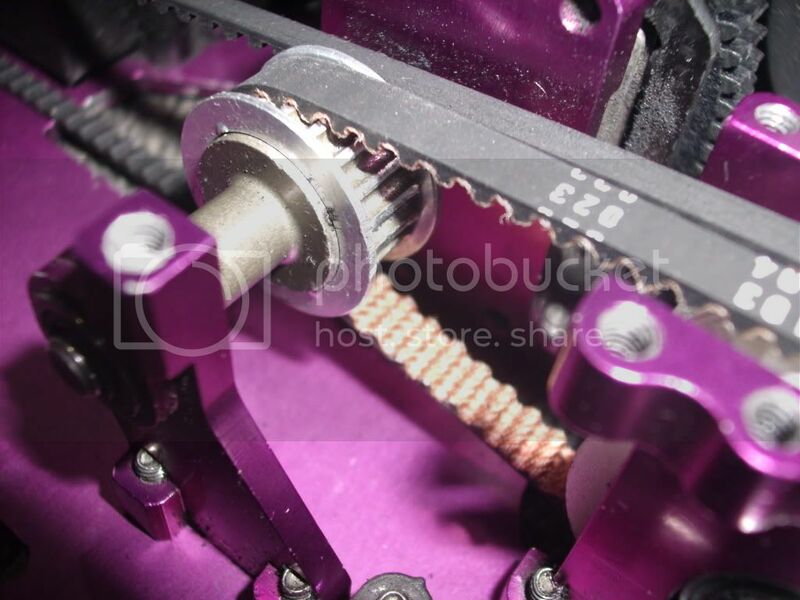 When using the CNC rear diff pulley, it solved from 85% to 95% of the problem. So..this is a most. 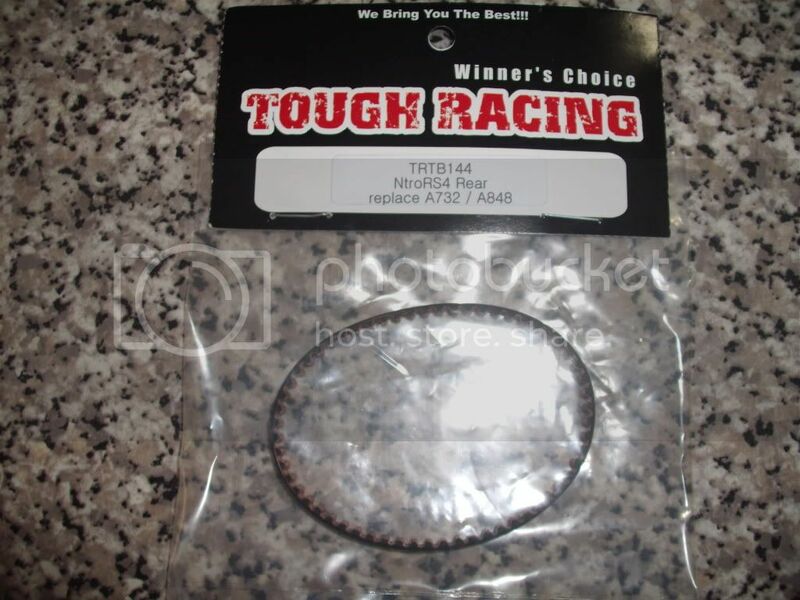 Belt replacement for now: Tough Racing TRTB144 direct replace belt for HPI Nitro RS4. 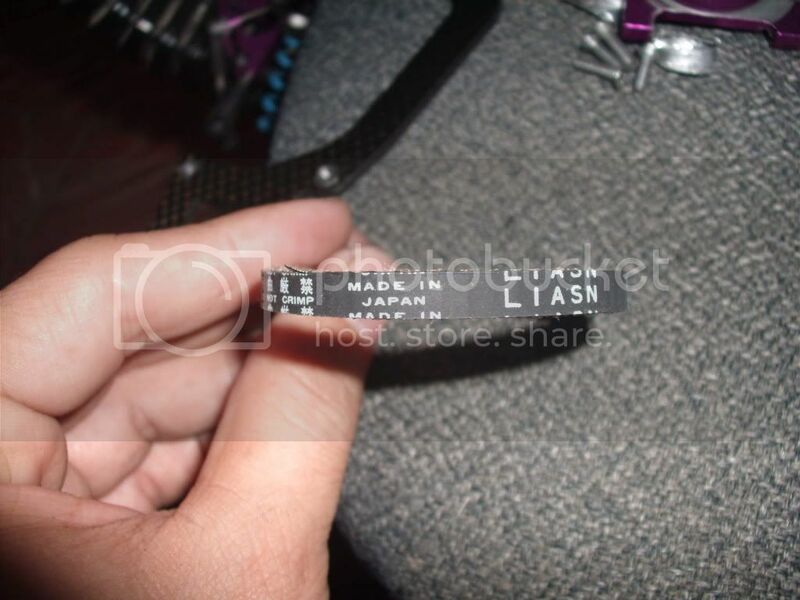 This belt can use for the rear pulley and the layshaft of the R12, it measure 5.5mm. 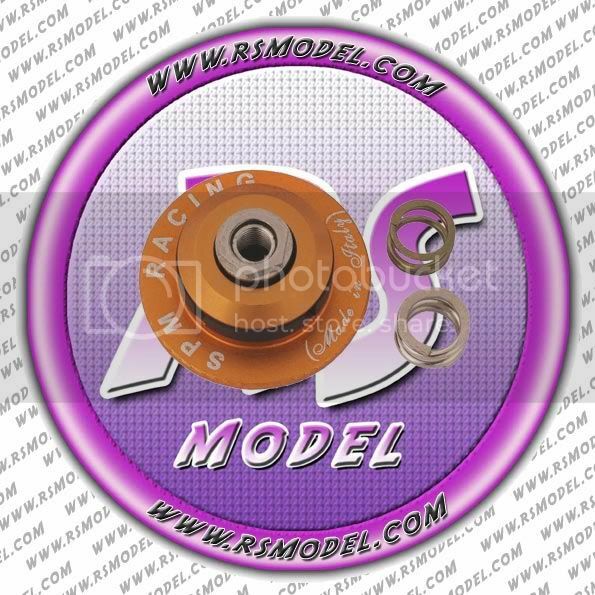 I'm in the process to make a special order that measure 6mm and would be the direct replacement for the Rear R12 belt. I'll let you know when this happens. 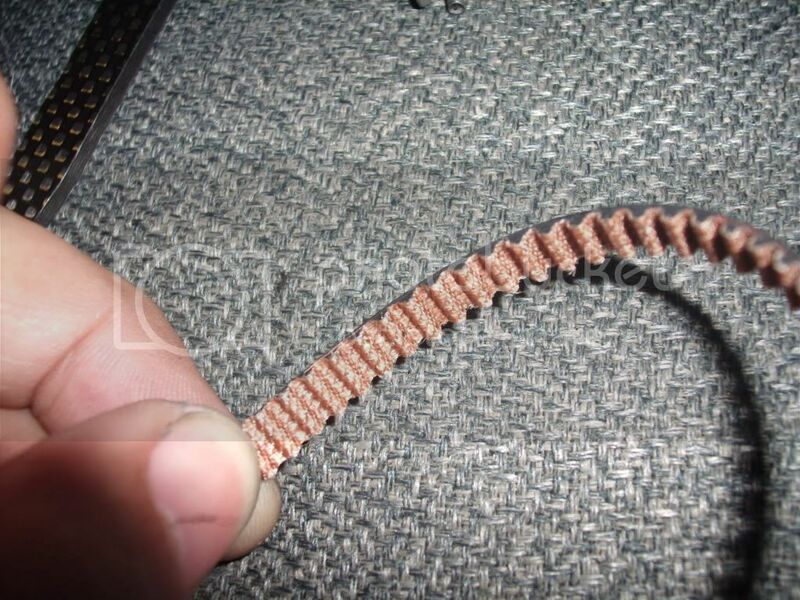 They are kevlar belt's made in japan and distributed in South Korea. They seemed quite tough for a cheap price, already test it out and did a pretty good job. I'm too in the process to replace the main belt. But have to stay with the stock one for now. Let you know in the future. He are some pics. Last but not least. And I think his have been discuss before. 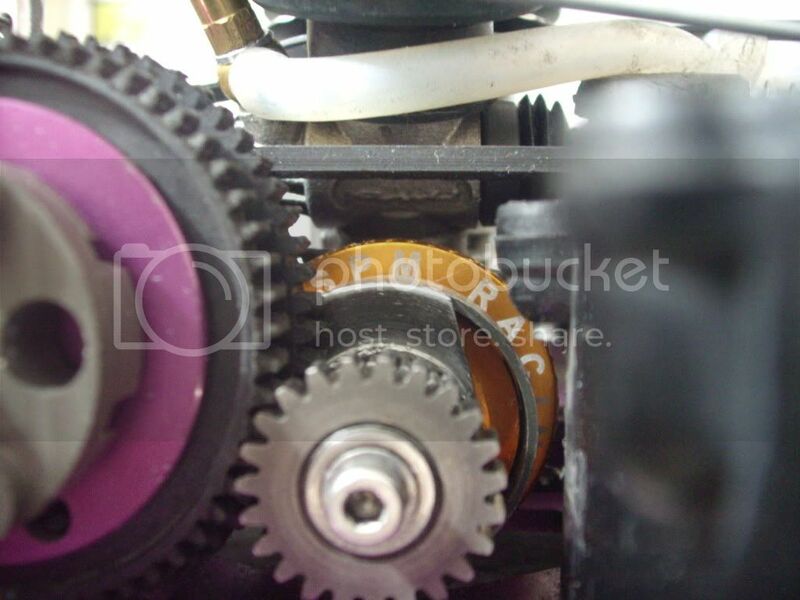 Remove the lower bearings from the Main Belt Tension. This keeps the Main Belt very loose and makes you're rear belt very happy. Second issue: Diff fences snapping, slops, etc. 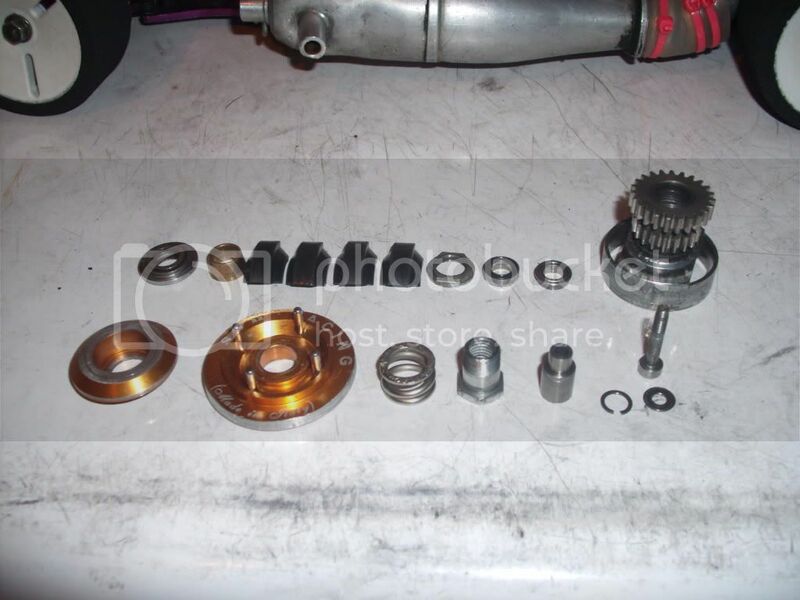 Cause Theory: Main Belt tightness pulls back and twist the Rear Diff Pulley, then the Main Belt push outwards the diff fence until it snaps out. Possible solution: Put the MAIN BELT tension as loosest possible without jumping. And make sure and check the Rear Diff that the Main Belt doesn't make more pressure than the Rear Belt. Both Belts most be equally even when you put the Rear Diff to the Diff Mounts. 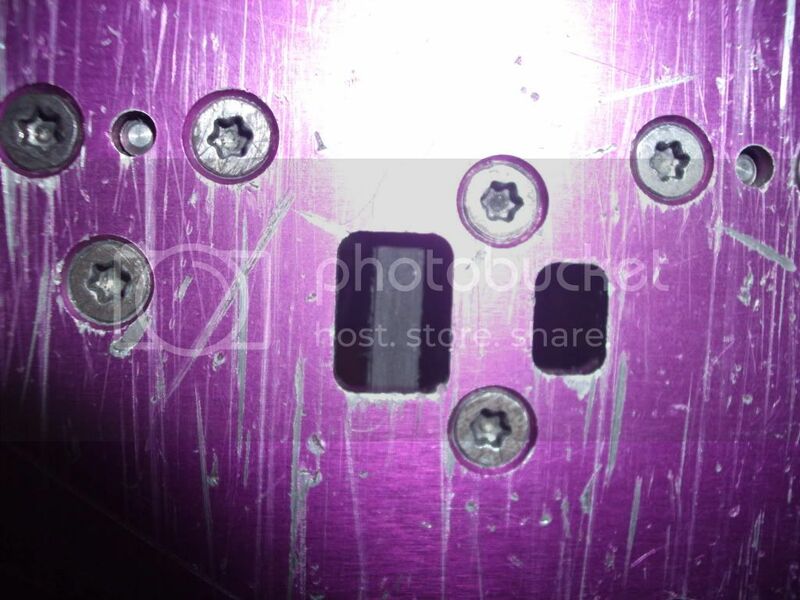 Use and put Epoxy on both sides of the fences of the diff so they won't snap out. 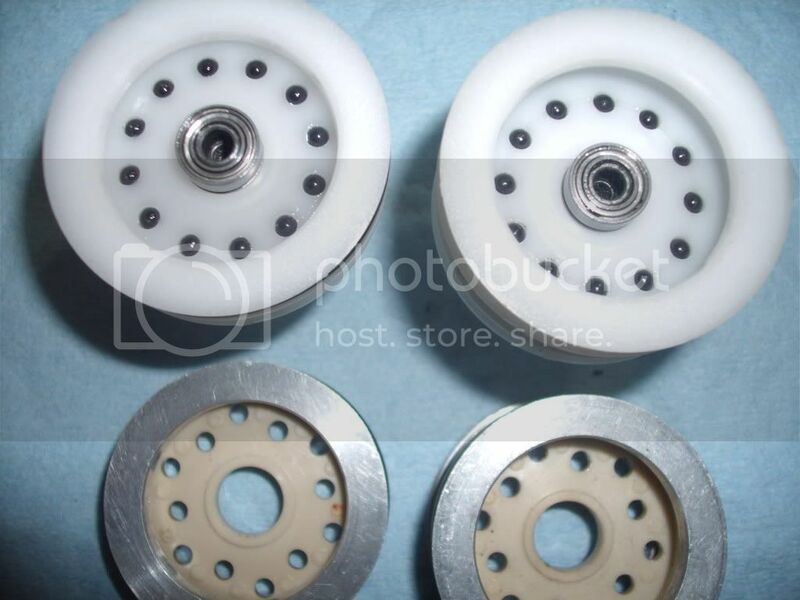 For the CNC's pulleys fences, there might not be a chance to use epoxy on them because they are so tight that they won't come out so easy, already test it. 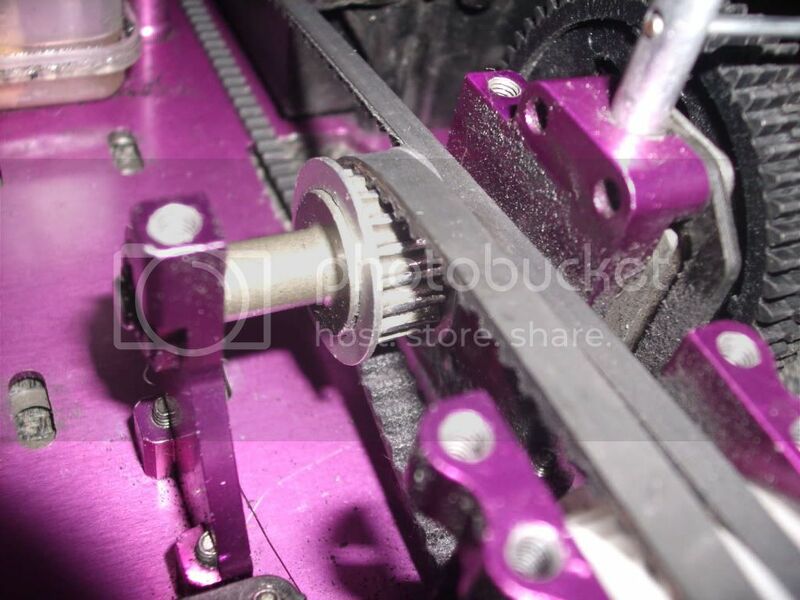 Use some piece of aluminum paper on the upper side of the diff ball bearing mount to eliminate the DIFF slop or play. I've heard people to use other techniques to resolve the same slop issue. Like using paper underneath the diff ball bearing mount and other shimming the diff outputs, they all resolve the same slop issue. 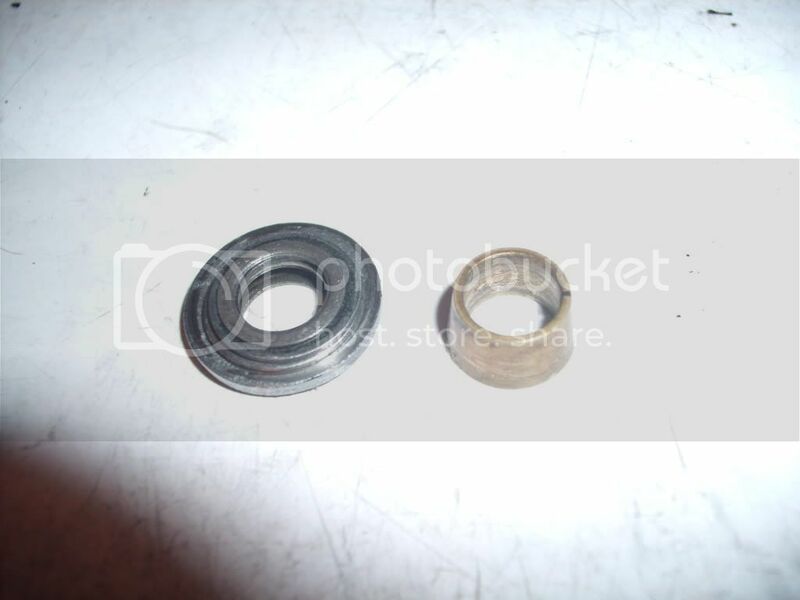 Money Solution: Rear CNC Diff Pulley U2745 and for the front pulley U2746. Puts all the belts pressure out once and for all. Drive-train super loose. Pulley fences are very tight they wont snap out. 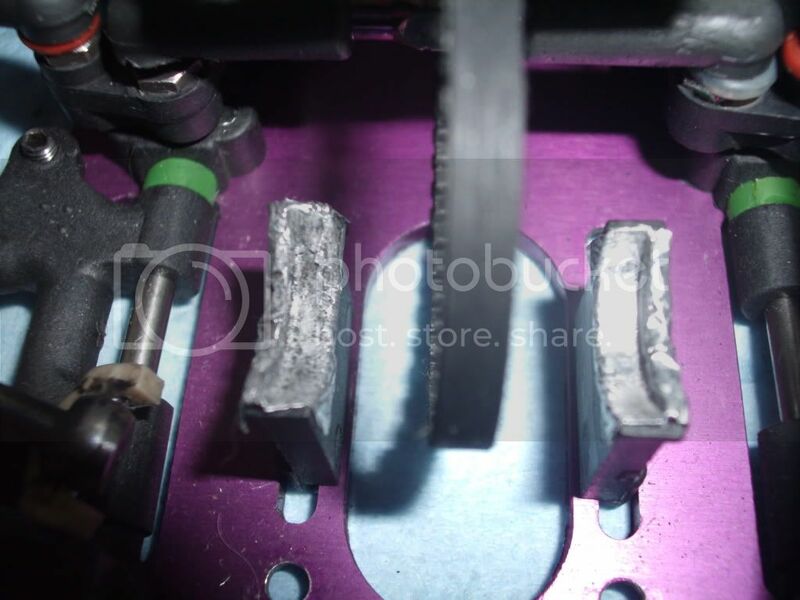 They still needs to use aluminum paper, normal paper or shimming the diff output to resolve the slop issue. Here are the two Diffs front and rear with CNC white pulleys. I just installed the front CNC pulley, but I haven't test it yet. But you can start with the rear pulley for now and most of the pain will be gone. 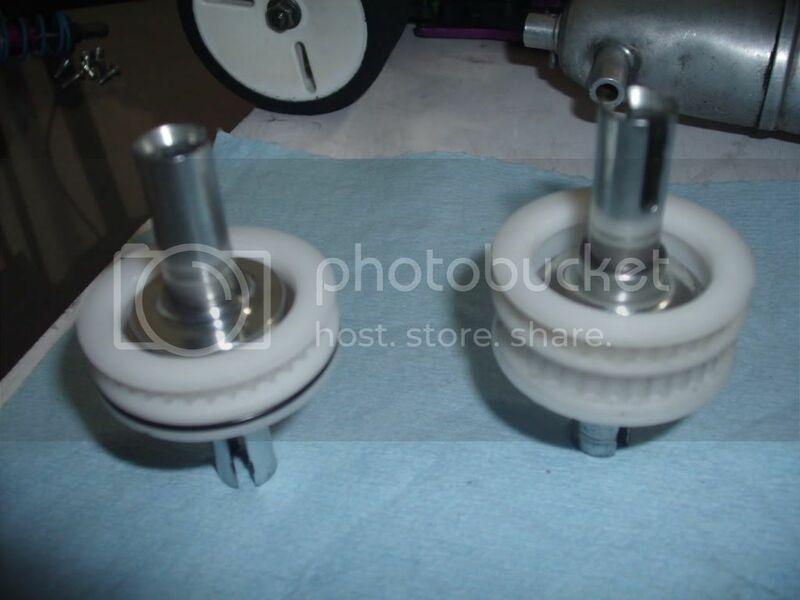 Here you can see the difference of the position of the diff balls of both types of diff pulleys. Want to give big thanks to blade from his fusion project. Here's the part when you put epoxy glue if you have the old diff pulleys with the metal fence. And here is when you use aluminum paper front and rear diff ball bearing mounts or the other solutions to fix the slop issue. Third issue (actually not an issue, but a disadvantage for this car): The R12 Clutch. Pros: Nice for bashing, or running around. Cons: Not competitive for touring races compare to the other cars around today. Not even modifying the shoes, springs, etc still was in disadvantage. First Possible solution: A Centax Clutch. But it never happened. 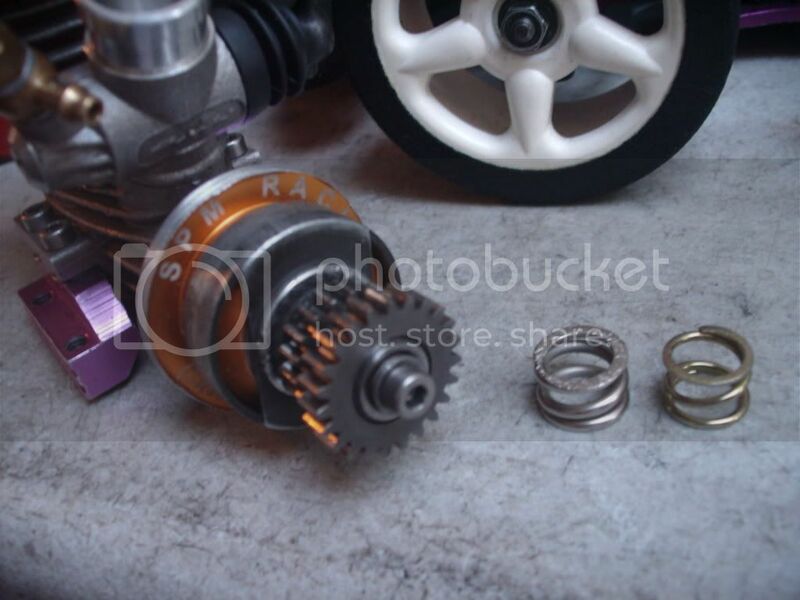 Second Possible solution: A push type and adjustable clutch so it can be used with you're regular stock clutchbell with gears. The options are the Werks and the SPM Clutches. I first had the chance to verify with the Werks clutch, but I think it didn't work for some kind of a reason the clutchbell didn't fit with the Werks clutch. Although both clutches looks the same, but there internally diameters are different. (I might be wrong with this, but is up to you if you wanna try with the Werks Racing Clutch then, but I'll try to verify again if I can find a Werks clutch in the future.). 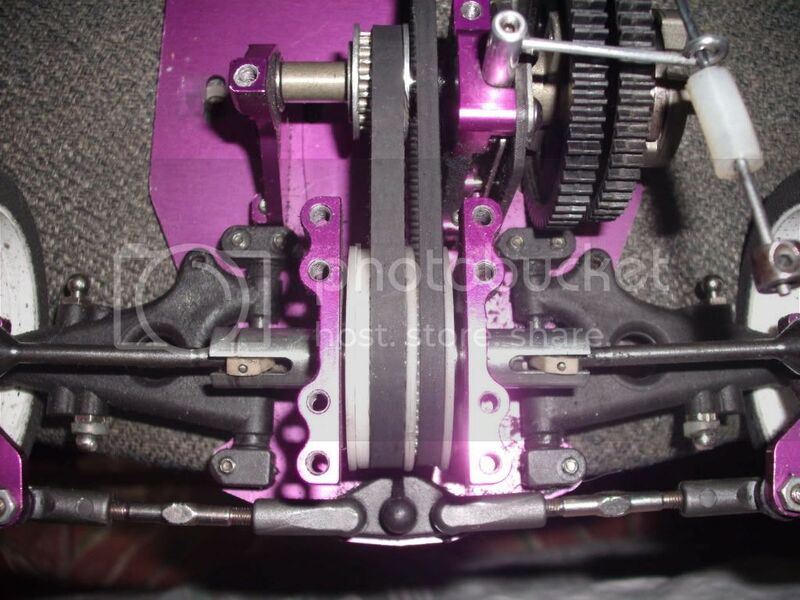 In that case the SPM Racing Clutch was the one to choose. (Go to give many thanks to octraver for this). Parth numbers: SPM108A it comes with black carbon shoes. Good grip with mild slip and wear. SPM108R it comes with red rulon shoes. More grip with non slip, but with fast wear. You don't want to use the teflon white shoes otherwise you'll wouldn't being upgrading. Some hints and advice: Was kind difficult to search and buy this product on the internet, because most of them you'll find them on Italy web sites. 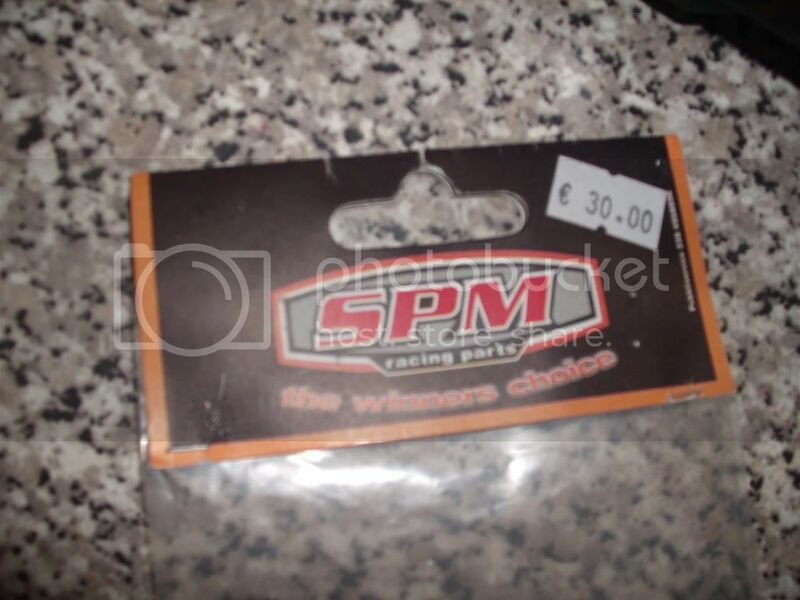 (In my case though because I live in the US territory) The official web site for this clutch is http://www.spmracingparts.com/ and I think you can't buy nothing from them. Once you have you're SPM Clutch in your hands, please be patience. This might or might not work in your first attempt so take you're time. This is going to be more like a trial an error until done. But once you're done, you're gonna gain a great reward from this upgrade. 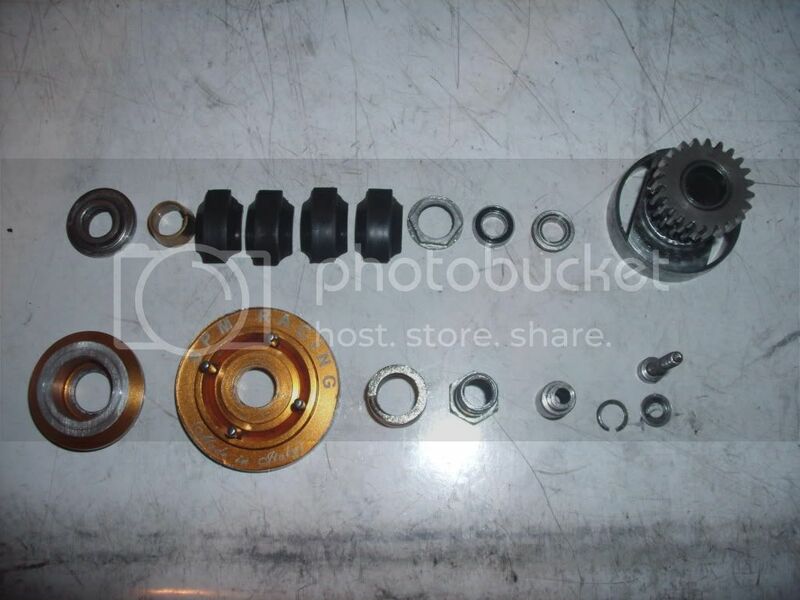 I'll try to explain the things that needs to do bit by bit, to fit this clutch on you're Fusion R12. But for some of you who have more experience and have better ideas, please put them on this thread so we can all help each other. First step is to shim or to get some spacers to put them so the MAIN Belt pass trough the engine and the flywheel without rubbing. 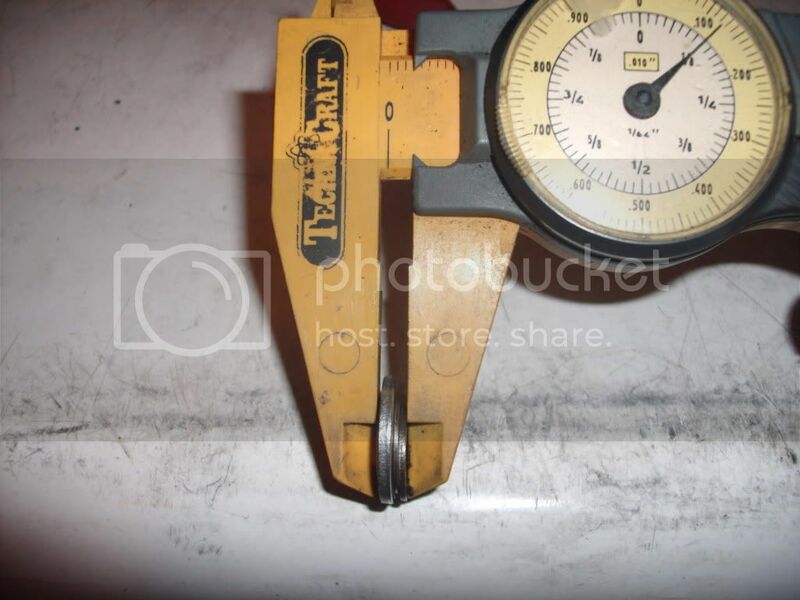 They measured about 3mm with 1/8 wide, this is the basic from here on, so the rest it will depends on your engine. Let's hope you can make it without a problem. Next is the engine cone, so here too it depends on your engine. I used the rossi one though.